But with wealth came crime, corruption and impetuous scheming. State politicians were bribed while miners indulged in the usual vices of drinking, gambling and whoring, birthing the red-light district of “Venus Alley.” The city’s frequent skirmishes between labor unions and mining companies became even more notorious after Dashiell Hammett captured them in his Red Harvest, a noir novel inspired by his time working in the area strikebreaking for the Pinkerton Detective Agency and by the Anaconda Road Massacre, in which mining company guards opened fire on striking workers, killing one and injuring 16. 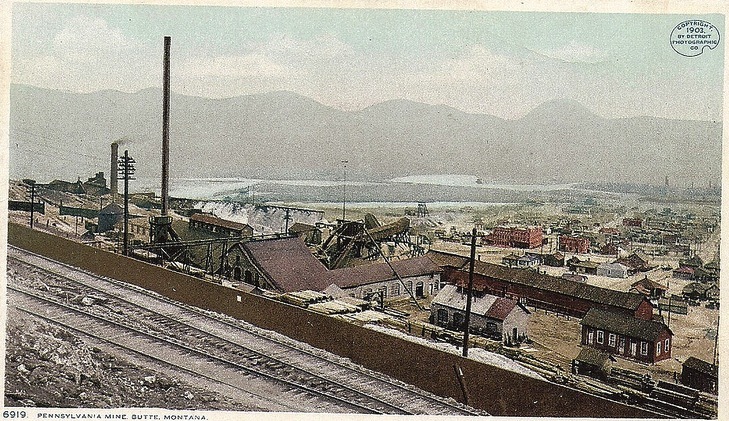 One-hundred years later, copper mining would end in Butte, leaving behind a decadent and violent history replete with interesting characters, like Mary MacLane, the “Wild Woman of Butte” who was an openly bisexual writer and vocal feminist, as well as physical reminders, like the emblematic headframes that dot the skyline and were once used to lower and raise workers, equipment and ore in and out of mines. 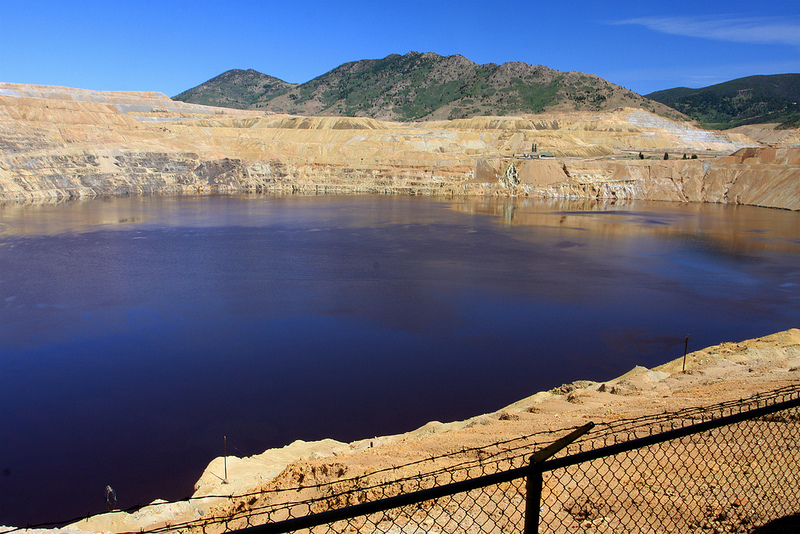 The most visible and best known remnant of Butte’s mining past is the Berkeley Pit, an open-pit mine whose excavation began in 1955 only to become one of America’s largest hazardous substances cleanup sites after it closed in 1982. Its water is so toxic it has spawned new species of fungi and bacteria. 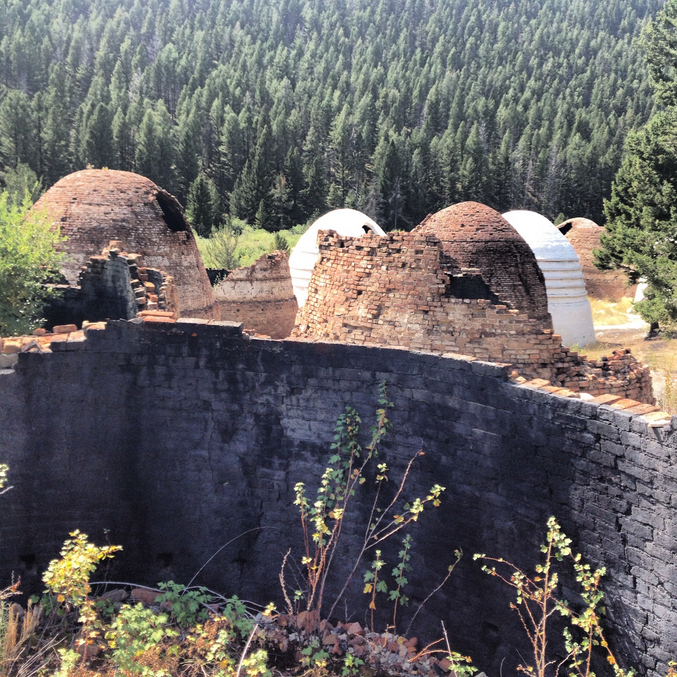 A short drive south from Butte through the Pioneer Mountains, a series of small ghost towns that once made up the Hecla Mining District yield another, less ubiquitous mining relic: charcoal kilns. 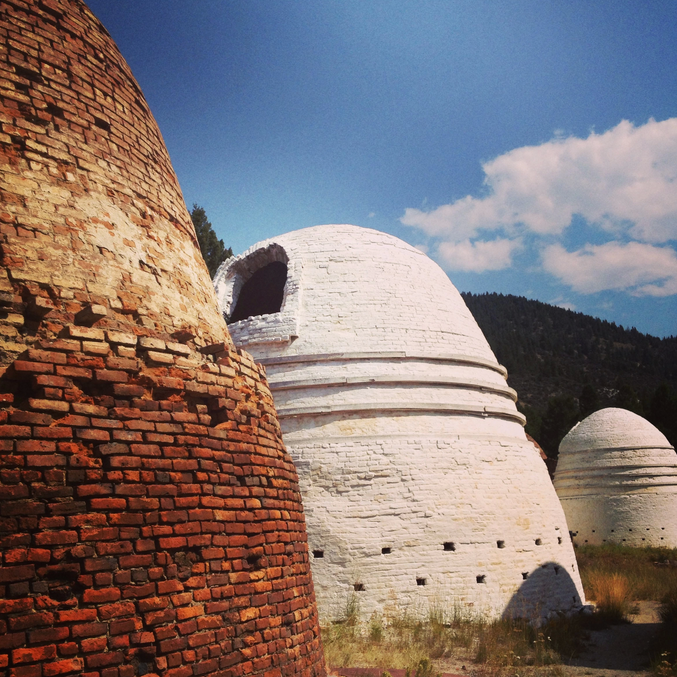 The kilns are beehive-shaped brick structures used to turn wood into charcoal, which was then used to power the nearby smelter for extracting silver from ore. During the district’s peak silver-mining years, which coincided with the beginning of Butte’s copper boom, 23 charcoal kilns were built and operated, each standing 20 feet high with a diameter of 25 feet. It’s easy to imagine a Gold Rush-era version of Walter White overseeing the chemical transformation of wood to charcoal fuel. Timber from the surrounding forests was felled and hauled to the kilns where each would be stocked with 40 stacked cords (a cord is 128 cubic feet of firewood). 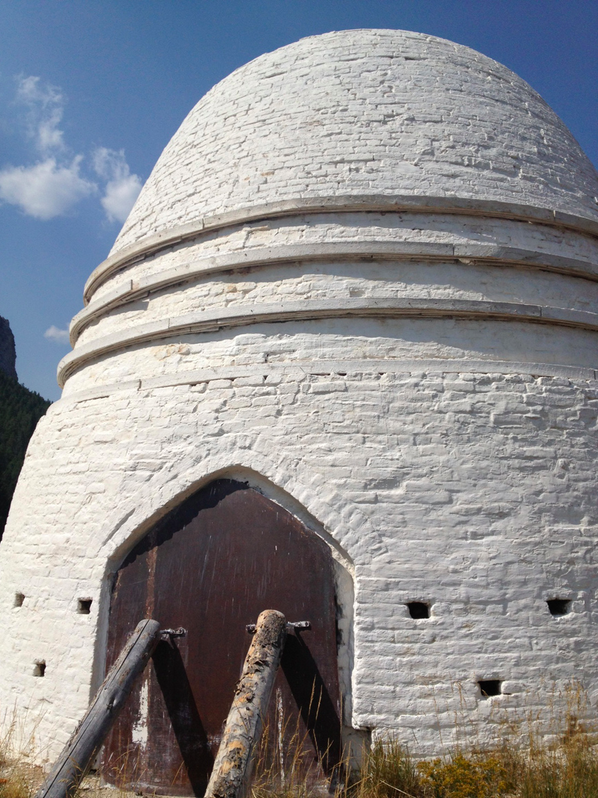 The kilns would then be lit and sealed. Operators would monitor the smoke emitted and manipulate the vents so as to create an even burn and a charcoal pure in carbon. For the first three to four days, white smoke signaling the release of water from the wood would escape from the vents, then it would turn yellow and eventually blue, indicating the highest temperature burn and that the process was nearly complete — about a week after it has started. After cooling for another two days, barrels of water were poured into the kiln and, finally, the resulting charcoal could be discharged and hauled to the smelter’s blasting furnaces. The time and man- and horse-power necessary for the sole process of creating fuel makes the work of these mining operations seem staggering. It is estimated that over 11,000 acres of forest — more than 13 times the size of Central Park — were burned in the kilns during the operation of the Hecla Mining Company. 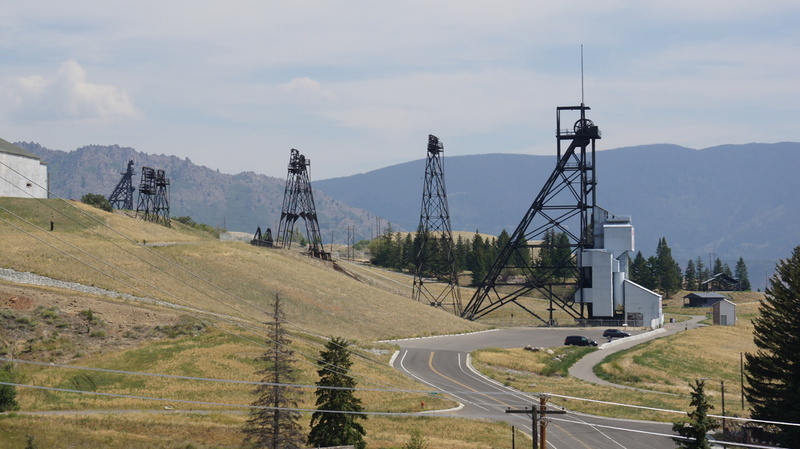 Silver was mined in and around Butte for 30 years before the mineral deposits were exhausted and the operation shut down. 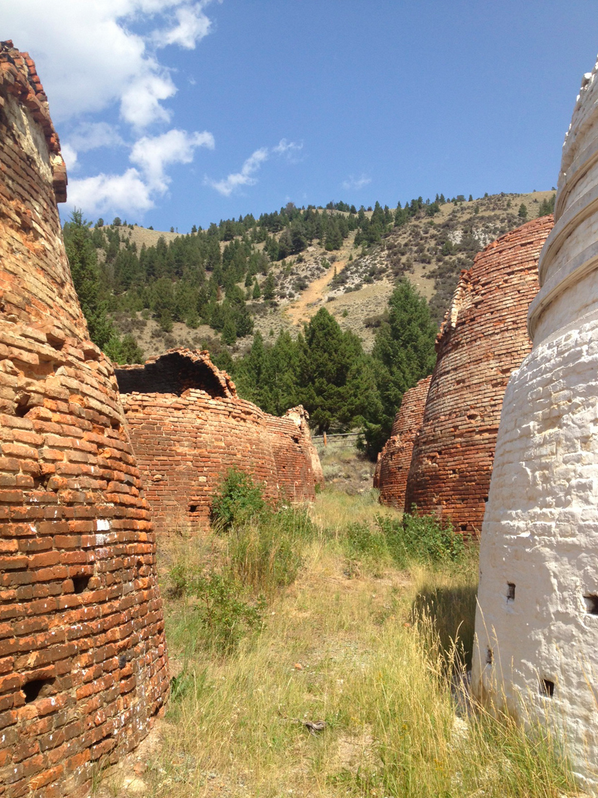 Today, three of the Canyon Creek kilns have been restored and the rest sit in various states of decay. Even less remains of the towns that made up the mining district: a few collapsing wood buildings and the smelter’s brick chimney. As Montana grapples with its most recent boom — oil from the Bakken formation along the northeastern border with North Dakota, which is now accessible via hydraulic fracking — the histories of gold, silver and copper mining a century earlier offer predictors of what could come of the drilling: money, ambition, environmental degradation and a new generation of ghosts. Helen Schumacher is a writer living in Brooklyn.